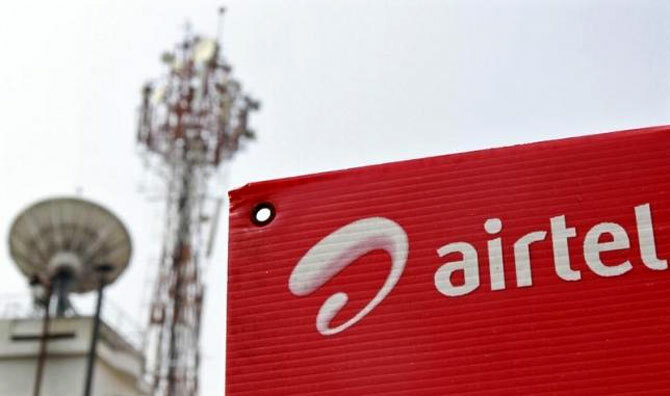 India's largest telecom operator Bharti Airtel's deal with Videocon to acquire the latter's airwaves in six circles will have a cascading effect on the entire sector. With the Sunil Bharti Mittal-led company acquiring 4G (fourth generation) spectrum in Gujarat, Madhya Pradesh, Uttar Pradesh East, UP West, Haryana, and Bihar circles, it has effectively walked away from the upcoming auctions as far as the 1,800 megahertz (MHz) frequency is concerned, because the company will now have 4G spectrum in 19 of the 22 markets. If Bharti had not acquired Videocon's spectrum, it would have had to acquire a block of five MHz in each of these markets to launch 4G services. While analysts maintain expensive spectrum auctions are a wildcard for the sector, this year's auction might not see irrational or even negative bidding as the one in 2015 witnessed. "Last year, telecom operators were bidding for business continuity as they had to re-new spectrum in existing circles. With spectrum trading and sharing guidelines being put in place, the artificial scarcity of the raw material will end. With Bharti out of the race in these circles, the bidding intensity will be a lot less in the 1,800-MHz band and there will be enough left on the table for other firms," says an analyst. There are stories of rivals deliberately bidding in the 900-MHz band to raise prices in last year's auctions. This is unlikely to happen this year, as these auctions will be strategic and not for survival. Also, with the Idea-Videocon deal not going through, it might be fair to assume that operators will show some restraint. Additionally, not all operators have managed to monetise their spectrum portfolios, especially LTE (long-term evolution) spectrum in 2,300 MHz. HSBC Capital Markets says, "A lot of the spectrum is yet to see meaningful monetisation (particularly spectrum in the 2,300-MHz band), but given the potential launch by 4G entrants, consolidating data spectrum is a step in the right direction." However, not all firms are expected to pay a very large amount for airwaves as 3G (third generation) penetration is not yet complete. Also, with the government putting in place spectrum trading and sharing guidelines, firms are able to acquire spectrum outside auctions and the price discovery is market-based and driven by scarcity. With Bharti out of the race as far as auction in the 1,800-MHz band in these six circles is concerned, the bidding intensity should be significantly less as there would be enough spectrum left for the rest of the players. For instance, in Bihar, a block of 12.2-MHz spectrum will be available after harmonisation. In this circle, Vodafone has 4.4 MHz of un-liberalised and 2.3 MHz of liberalised spectrum. As a result, it will bid for only 2.5 MHz. Similarly, Idea has 4.4 MHz of un-liberalised spectrum and 1.25 MHz of liberalised spectrum. Idea will need to buy 3.75 MHz of spectrum in Bihar. In Haryana, Vodafone, Bharti and Idea already have the requisite spectrum, so bidding prices will remain capped in this circle. In Gujarat, Haryana, UP East and UP West, the bidding intensity will come down with Bharti getting out of the race. This could put at risk the government's estimated inflows from spectrum auctions. The government has estimated revenues of Rs 98,995 crore from the telecom sector, a large part of it would be from the auction of airwaves. The government intends to put on sale all the airwaves across all bands. With Reliance Jio entering into sharing/trading pacts with Reliance Communications in 11 circles and Bharti getting out of the race in 1,800 MHz, the bidding intensity could be less than estimated, say experts.